This early fall of 2018, while I was reading a wonderful book by Elizabeth Rush titled Rising: Dispatches from the American Shore, which chronicles impacts of sea level rise on American seashores, Hurricanes Florence and Michael wrought havoc on the Gulf and Southeast coasts. Storm surge, about which I had been reading in Rush’s book, was a big part of the hurricane’s impact. This month of November, while I was reading Edward Struzik’s Fire Storm: How Wildfire Will Shape Our Future, the Camp Fire in Northern California roared through 100,000 acres in two days, destroying many structures and killing, at this writing, 80 people with more than a thousand missing. Natural disasters like these are attributable to weather and not necessarily climate change, but warming oceans and extended droughts are causal factors in such events. Reading of the consequences of sea level rise and megafires, I could not help but think about how many of us humans are in denial and cannot summon the will to do anything to mitigate climate change and is effects. The important thing is that no one died in the fire, people keep telling me over and over again. They are right, of course. But they are also wrong, because loss of life is not necessarily the best way of measuring success. Fort McMurray was the worst natural disaster in Canadian history. It could have been much worse if so many things – wind, demographics, safety training, quick and creative thinking, heroism, and luck – hadn’t aligned in the manners they did. The town dodged a lot of bullets. He observes that “If there is a lesson to be learned, it is that a wildfire like that one is going to happen again. The next time, those in the line of fire may not be as fortunate as those at Fort McMurry, Slave Lake, and other places where the loss of many lives was narrowly averted.” Though he was probably thinking of the Canadian north when he wrote this, how right he was, as we see in northern California. 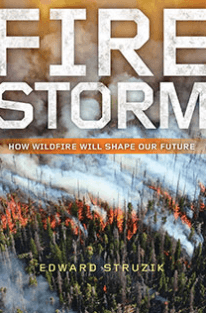 Struzik devotes chapters to the familiar history of wildfire and the responses to it in North America. With an emphasis on Canadian wildfire history, he summarizes the story that fire historian Stephen Pyne has told in detail: fire was common before Euro-American settlement, used by Native Americans and First Nations people to “manage” the forests around and in which they lived; early in the 20th century fire was regarded as an enemy to be controlled, and fire suppression became the goal for decades; then gradually scientists began to understand the ecological role of wildfire and advocated very carefully reintroducing fire back into the forest landscape. This was done in a halting, small-scale way, with some controlled burns, like the Cerro Grande fire here in northern New Mexico, getting away and setting back efforts to reintroduce fire. Then, in the late 20th century, as a consequence of suppression and climate change, megafires like that at Fort McMurray became more common. Struzik documents how common they now are in the Canadian north, Alaska, and the United States. Struzik’s treatment of wildfire, about which many excellent books have recently been published, is different than most, for while he tells stories of megafires in Canada and the northern United States, he’s constantly probing for what these conflagrations suggest about the future. In the chapter “Water on Fire” he examines the impact wildfires can have on hydrology. I have seen nothing about this in other books about wildfire. Struzik has written about the Yellowstone to Yukon conservation initiative and reported on research on gravel-bed river floodplains that flow out of the Rockies. Researchers found that these are “some of the most important ecological habitats in America.” They were studying the possibility of adding the unprotected Flathead River watershed to Glacier and Waterton Lakes National Parks. Research revealed that in the Rockies, half the region’s plants are found in such watersheds, and Grizzly bears, wolves, caribou, elk, and deer depend on these ecosystems.” As we think about rewilding North America, wildfires may not readily seem a part of our business, but Struzik argues otherwise. 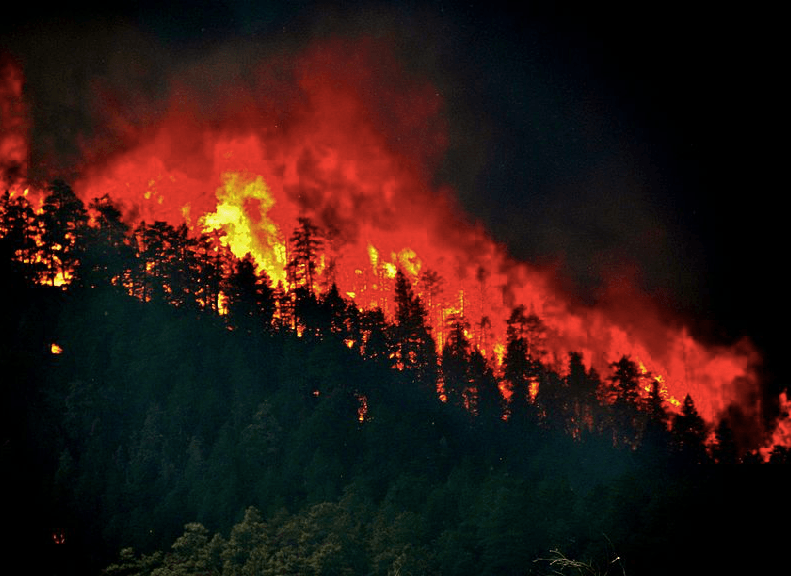 As these conflagrations continue to burn bigger, hotter, and more often in the subalpine, montane, and boreal forests of Canada and the United States, watersheds will continue to be degraded, as has already happened in many because of climate change, industrial pollution, and other human disturbances. Mitigation can perhaps save trout and other aquatic forms of life, but it will be very expensive. The only way grizzly bears, wolves, wolverines, and other predators are going to survive in a world in which wildfire is accelerating is for them to be able to move through safe wilderness corridors to get from one degraded forest watershed to another that is healthier. As time allows those degraded watersheds to recover, the animals will be able to return, if necessary. Here Struzik adds wildfire impacts on hydrology to the reasons why wilderness corridors will be essential to the future of the predators he mentions. Using Libby, Montana as an example, Struzik describes a threat from wildfires that has not been mentioned in the books on the subject I had previously read. Forests around Libby today are thick and likely to burn, and when they do, “In addition to the heat, smoke, ash, and burning embers that will inevitably be released in this steep and rugged landscape, this fire will spew out needle-like, cancer causing asbestos fibers, an unwanted, unintended by-product from asbestos mines that operated in that area from around 1923 to 1990.” There are similar situations all over the world, Struzik notes, where pesticides have been applied in forest management, and mines and industrial activities have contaminated the plants of forests. Little is known about the impacts of these on wildlife, but there is no doubt that smoke from bigger, hotter wildfires poses a significant human health hazard. Struzik goes on to explain connections between drought, disease, insects and wildfire, describing how northern forests are drying, weakening trees resistance to disease, and making them more vulnerable to insects, which kill them and to wildfire which often follows. In a chapter titled “Fire on Ice” he explains how megafires in the north are melting permafrost and coating glaciers with ash. 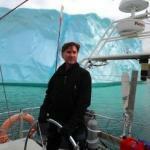 He writes, “These are heady times for scientists, especially those tough enough to live off the grid, endure freezing temperatures, and put up with smoke-filled air in summertime. With the rapid warming of the Arctic we may well be on a trajectory that will result in more fires, less forest, dwindling tundra, and more animal extinctions and extirpations.” Up there in the Arctic, as he points out, positive feedback loops are increasing the likelihood of these outcomes. Struzik paints a pretty grim future for wildlife and for people living in northern forests where “firestorms” are increasing in scale and frequency. He concludes with a chapter titled “Resilience and Recovery.” Nature is resilient, and some parts of it will benefit from megafires, and some will not. So what to do? Perhaps a more holistic approach to managing our forests is needed, as Harvey Locke at Yellowstone to Yukon, Rick Hauer at the University of Montana, Jeff Wells at the Boreal Song Bird Initiative, and others envision. The establishment of more protected areas and wildlife corridors would increase the likelihood that more of the vast stores of carbon in the soils and peatlands would stay there longer decreasing fire suppression costs and the losses that result from the buildup of expensive infrastructure. Protected areas and undisturbed wildlife corridors would give wildlife and plants the best chance to adapt to climate change. 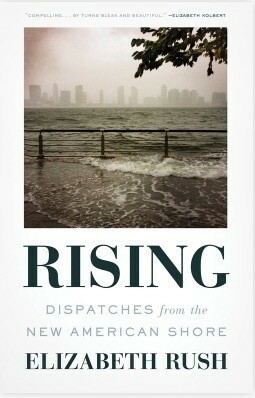 Books like Rising and Firestorm come to the same conclusion – if business as usual continues, whether it be building on coastlines that give stressed human and wild communities no place to escape to or managing forests as though they are only a source of economic productivity, the result will be a future of change to which we will be unable to adapt. Such books are critical to our understanding of the challenges we face. David Brower, then Executive Director of the Sierra Club, gave a talk at Dartmouth College in 1965 on the threat of dams to Grand Canyon National Park. John, a New Hampshire native who had not yet been to the American West, was flabbergasted. “What Can I do?” he asked. Brower handed him a Sierra Club membership application, and he was hooked, his first big conservation issue being establishment of North Cascades National Park. After grad school at the University of Oregon, John landed in Bellingham, Washington, a month before the park was created. At Western Washington University he was in on the founding of Huxley College of Environmental Studies, teaching environmental education, history, ethics and literature, ultimately serving as dean of the College. He taught at Huxley for 44 years, climbing and hiking all over the West, especially in the North Cascades, for research and recreation. 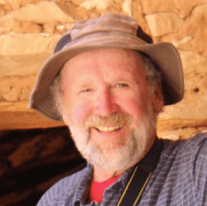 Author and editor of several books, including Wilderness in National Parks, John served on the board of the National Parks Conservation Association, the Washington Forest Practices Board, and helped found and build the North Cascades Institute. Retired and now living near Taos, New Mexico, he continues to work for national parks, wilderness, and rewilding the earth.